PM me if you are interested in having them powder coated, though shipping to WI and back would be a bit. There spooked wheels k. Its all good for shipping. I was gonna paint them if I couldn't find a guy. Thanks a lot for your help my friend. Spoked wheels need to be completely taken apart in order to coat the rim and hub separately. Coating an assembled wheel makes it impossible to true them later if/when needed. Yeah, I hear ya. Its ok I'll just paint them. I'm a pretty good painter ya know. I appreciate your help a lot. 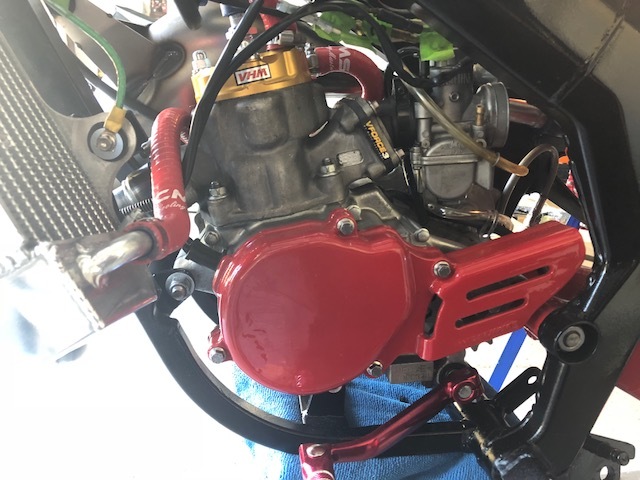 Ok, so i finished the CRBI 85CC re build. There was a ton of extra work. Its not as easy as just slapping things together. Every time I went to re install a part or a nut or a bolt I had to make sure it was like new. I ordered a few bins of new bolts, nuts, washers, screws and all kinds of new items to re install on the bike. 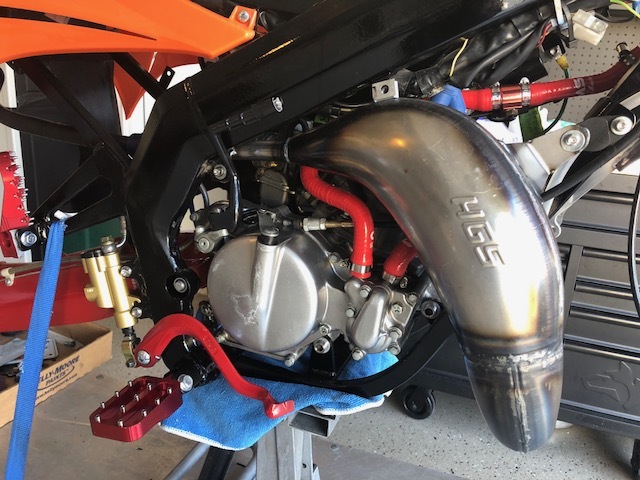 Now the bike runs so much better with the VHM head and compression insert with the new exhaust and reed intake with shorter gearing I'm happy to say it all was worth the hassle and I would definitely do it again. Thanks a lot to TT and Ari for all the help with finding me parts and supporting me on my build. Its so good to have buds you can count on. Last edited by twinturba : 09-22-2018 at 11:51 AM. I think I need an orange seat. I find Conti's brake pedal quite useful. Knurled tip gets rid of the banana skin effect. Last edited by dankerson : 11-17-2018 at 07:06 PM.